An economical choice offering protection, performance and comfort. 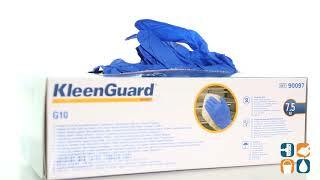 Natural rubber and latex free, these gloves reduce the risk of Type-I allergic reactions. Powder-free to minimize drying effects of powder on skin. Beaded cuffs and textured fingertips provide added strength. Ideal for food handling, painting, manufacturing and other industrial workspaces. Style: Disposable; Wrist Style: Beaded Cuff; Material(s): Nitrile.